A Florida man was charged with manslaughter on Monday in a fatal shooting during an argument about a parking spot, a case that made headlines when police initially declined to arrest him due to the state’s “stand your ground” self-defense law. 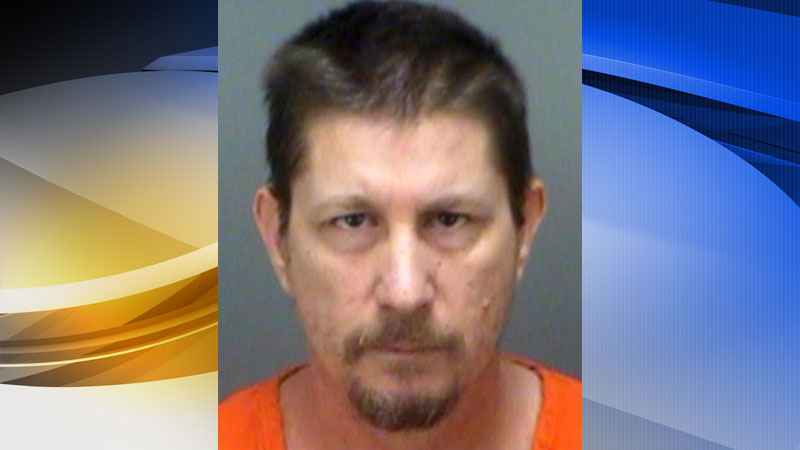 The suspect, Michael Drejka of Clearwater (pic above), was taken into custody on Monday, the Pinellas County Sheriff’s Office said in a statement. Police had initially declined to charge Drejka, 48, over the July 19 shooting citing a 2005 law that grants residents the right to use deadly force if they reasonably believe they are at risk of great harm or death. The case was sent to the state attorney’s office for further review. The law, which removes legal responsibility to retreat from a dangerous situation, was cited as a factor in the fatal 2012 shooting of unarmed black teenager Trayvon Martin by a volunteer neighborhood watch captain who was eventually acquitted. The racially charged Martin case triggered national outrage and prompted criticism of the “stand your ground” law as a license to kill with impunity. Drejka is white and his victim was black. The shooter in the Martin case, George Zimmerman, is a light-skinned Hispanic and Martin was black. “I support the state attorney’s decision and will have no further comment as the case continues to work its way through the criminal justice system,” said Pinellas County Sheriff Bob Gualtieri in a statement on Monday. The more recent shooting occurred when Drejka became involved in a shouting match outside a Clearwater grocery store with a woman who allegedly parked in a spot reserved for handicapped people without the proper permit, the sheriff’s office said. The woman’s boyfriend, 28-year-old Markeis McGlockton, approached Drejka and shoved him to the ground, at which point Drejka drew his licensed concealed handgun and shot McGlockton in the chest while his girlfriend and 5-year-old son were inside the store, the sheriff’s office said. It said that Drejka said he feared for his life at the time. Surveillance video of the event went viral online, sparking fresh criticism of the “stand your ground” law on social media. Backers of “stand your ground” laws say they help deter crime. This entry was posted in News and politics and tagged Kill with impunity, Killer was white, Parking spot, Stand Your Ground, victim was black. Bookmark the permalink.